Life's been pretty hectic lately, hence the lack of blog posts! I always swear to myself I'll blog once a week at least but....anyway, rather than give up, I'll just keep trying! In between church ministry stuff, a conference in Germany, my dad visiting, going on holidays to Donegal over Easter & moving house (as well as looking after a husband and four kids! ); I've been busy making lots of dolls for friends & some orders too! These cute little dolls were made for two little flower girls as a gift for them on their parents' wedding day. They have the girl's name & the date of the wedding embroidered on the badge. A friend of mine requested this doll as a gift for her Welsh friend's little boy! It was a bit fiddly cutting out the dragon but it ended up turning out quite cool. 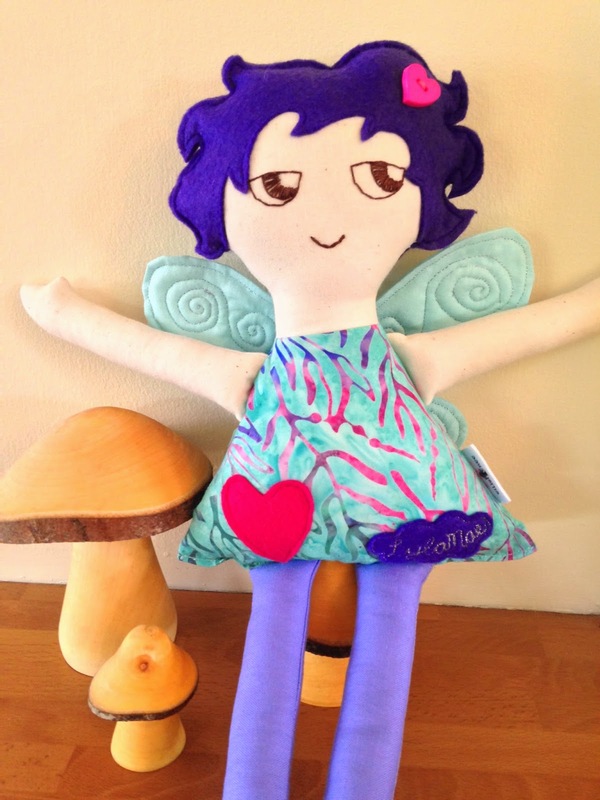 These dolls have been quite popular, as gifts for newborn babies or birthdays. They are personalised with the child's name & sometimes the birth date. I even got to go on the local radio station to promote my little business! Midwest Radio is a station for all the people out here in the north-west of Ireland & it was a privilege to be interviewed. It was also great to meet so many other creative people in the Bank of Ireland, Ballina, that day who were also there promoting their small businesses. 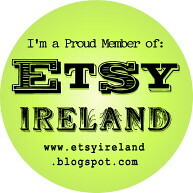 Hopefully I'll be back again soon with more creations, ideas, tutorials and my experiences of life in Ireland!